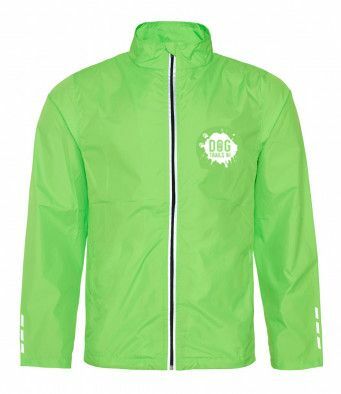 Dog Trails NI jacket in electric green with logo on the right breast and a large version on the back. This is a light weight running jacket. Reflective print detail to zip, back neck and cuffs. Internal small hidden opening for ear cord feed.